Sell Your Wilson County Home With A Fast, Profitable and Stress-Free Process! 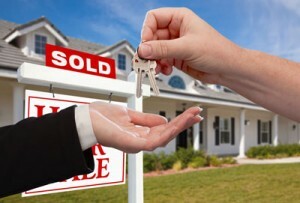 Honestly, selling your Texas property has never been this easy. We will pay you a great cash price for your home no matter what condition it is in! There is never any commitment or hassle when you get an offer. Find out what we can do for you! Take it or leave it, but at least know your options before committing to an agent! More and More People in the Wilson County Area are Choosing to Sell Directly! You won’t have to wait to get your cash. We can close within 7 days! Get A No-Hassle, No-Obligation Offer Now! You’ve Got Nothing To Lose! Before you sign a listing agreement, be sure to educate yourself on your options. Every agent is different. Sometimes you will be stuck paying all sorts of costs and fees if you want your house to sell. Some agents pay for marketing, while others don’t Some will facilitate the open house, while other leave the planning up to you. No matter what your agent does, you can expect to pay a commission when all is said and done. This is not the case with a direct sale. When you sell directly, you can keep that 6% in your pocket! In addition, you can save a lot of money on cleaning, repairs, and upgrades because we are buying as-is. We take care of everything. Moving is stressful enough… leave the details to us! Call us now or fill out the short form below to get started! Selling your home the traditional way can take months and be stressful for you and your family. Find out how beneficial a direct sale can be! With a fast and easy process, we eliminate all the stress associated with selling your home. We always pay prices that are honest and fair, and we will answer every question you have along the way. We have helped hundreds of homeowners in Texas and in the Wilson County area, and we want to help you too! You do not have to feel stuck with a burdensome property any longer! Can You Get Your House In Wilson County Back After Foreclosure?